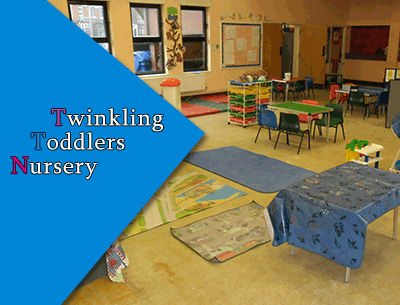 Twinkling Toddlers Nursery was founded in 2008 and strongly believes that each child is an individual, where they can have access to play based learning of the highest quality, accessing both the indoor and outdoor environment, in doing so engaging in play based learning that has been uniquely tailored to their interests and capabilities. 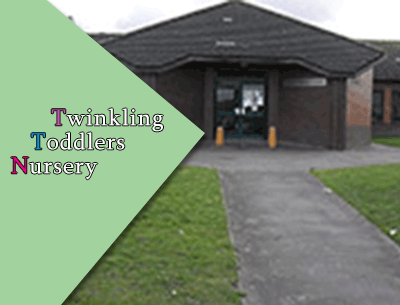 Twinkling Toddlers Nursery liaises with a range of external agencies to invoke support based learning for all children including those with EAL, developmental delays as well as a variety of other additional needs, to ensure that all children begin their learning from a secure based to build into a successful future. We recognize the importance of listening to children, understanding, and meeting their individual needs and that every child is a unique and a competent learner. We believe positive interactions are essential and we should tune in to children’s thinking and let them take lead and direction in their own learning. We support this through encouragement, praise and respectful relationships between staff and the children. 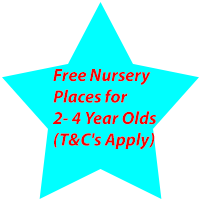 The Learning and Development comprises of 7 areas of learning which are delivered in an appropriate way to all age groups through planned, purposeful play with a careful balance of adult-led and child initiated activities. There are 3 Prime Areas and Practitioners must also support children in four specific areas through which the three prime areas are strengthened and applied.